Today I'm excited to reveal a brand new cover for a brand new author REBEKAH CAMPBELL! 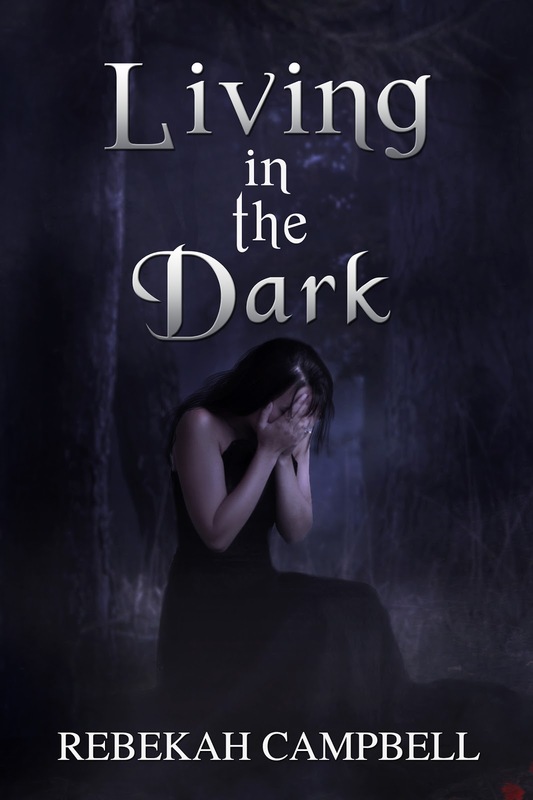 Her debut book, Living in the Dark, will be released on November 9th and Rebekah is also a part of THE BIG ANNOUNCEMENT coming later today! I had the privilage of reading an ARC of this book and I loved it! Dark, emotional, powerful - a definite must read. I'll be posting a reveiw later on, but in the mean time you can find out more HERE. And now, let's enjoy this fabulous cover created by Claudia at PhatPuppyArt (my cover artist) and Ashley. I can't even begin to tell you how perfect this cover is!! Experiences can make us or break us and it's no different for sixteen-year-old, Emily. Living under the roof of her abusive Uncle, Emily is brutally attacked by a gang and wakes up from a coma with no recollection of the accident. As the amnesia starts to clear, Emily realises that her memory is not the only thing coming back to her from the accident. There's also a wild, angry power that she has to control before it destroys her and everyone else. So the question remains: Will Experience make her or break her?